View all the US Mobile plans that work with the Sony Xperia Z3. 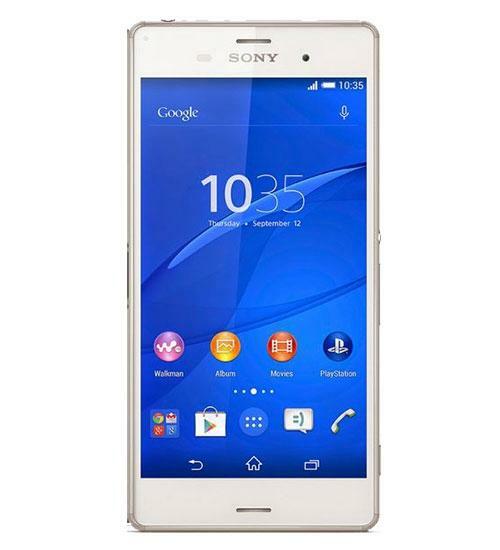 Compare US Mobile plans that are compatible with the Sony Xperia Z3 using our tool below. The Sony Xperia Z3 is powered with an Android platform and a 2.5 GHz Qualcomm Snapdragon 801 quad-core processor. As Sony's flagship phone for fall 2014, the Z3 has a faster processor than the Z2 with a thinner, lighter body. The Z3 also has a waterproof aluminum and glass body, a 20 megapixel camera with 4K video capture, a 2.2 megapixel front facing camera, and a memory card slot. Other features include bluetooth, NFC capabilities, mobile hotspot, and WiFi connectivity. Sony's Xperia Z3 is the company's latest attempt at cracking the high-end flagship smartphone market. Sony Xperia Z3 vs Xperia Z2 - What's Changed? Sony's Xperia Z2 was close to being the first Android with no compromises. Cam unboxes the brand new Sony Xperia Z3. Beau HD unboxes the new Sony Xperia Z3 for T-Mobile and shares his first impressions. Top 5 mid-range smartphones of 2014! Yesterday, Marco rounded up the top 5 smartphones of 2014. But if this has been the year of anything, it's impressive mid-range non-flagship devices. Beau HD gives us twelve reasons why the Sony Xperia Z3 is better than the Apple iPhone 6 Plus. As you’ve noticed, we’ve been trying something new here at PhoneDog. Instead of the usual head-to-head comparisons, we’re bringing you a handful of reasons why you should consider stumping up your own cash for one phone or the other. Beau HD gives us twelve reasons why the Apple iPhone 6 Plus is better than the Sony Xperia Z3.